How did I not know about craftgawker until yesterday? 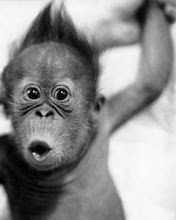 If you've never been there, you're gonna look just like that surprised monkey up there when you click on that link above. Craftgawker is a website where crafters can upload beautiful pictures of their crafts and others can go through them for inspiration. When you click on the picture it takes you directly to that crafter's site. I've been "gawking" for hours ever since my friend, Emily sent me the link to craftgawker. I've bookmarked a several things and even submitted some of my projects, too. Here are just a few of the many awesome projects I've found through this website. If you've never heard of craftgawker, read more about the site here. BurdaStyle is a place for people who sew or would like to learn. Our aim is to bring the traditional craft of sewing to a new generation of fashion designers, sewing hobbyists, DIYers and anyone looking to sew something. The website offers free and inexpensive sewing patterns (including many that are copyright-free), step-by step sewing tutorials, skill sharing, inspiration, project ideas and people passionate about sewing. So many great ideas and talent on that site! Here's a pattern I found on there for free! 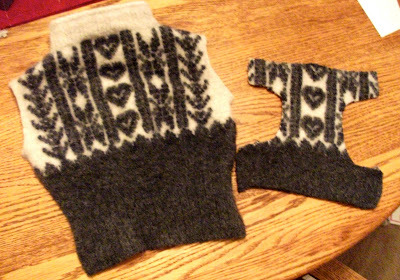 With all the hours I've spent browsing on Burda Style and Craftgawker, I haven't finished any crafts of my own. Get your priorities together, Allie. Working on some St. Patty's day ideas. See you soon! 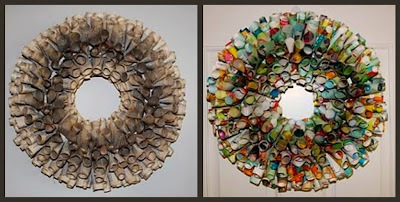 So in my post here I talked about Stephanie Lynn's Martha Stewart Craft Along at Under the Table and Dreaming, but it turns out I was a little confused about what her craft along was all about. I shouldn't have been because it was explained very well, but I think I was just reading what I wanted to...haha. The deal is you are supposed to use one of the Inspiration Projects for February and make something. While the fabric mattes for frames look fabulous, I began searching for other projects on Martha's website that I could make instead. I am still excited about Under the Table and Dreaming's Martha Craft Along, but may not have time to do any projects for this month. I'm excited to see what her March Inspiration projects will be. 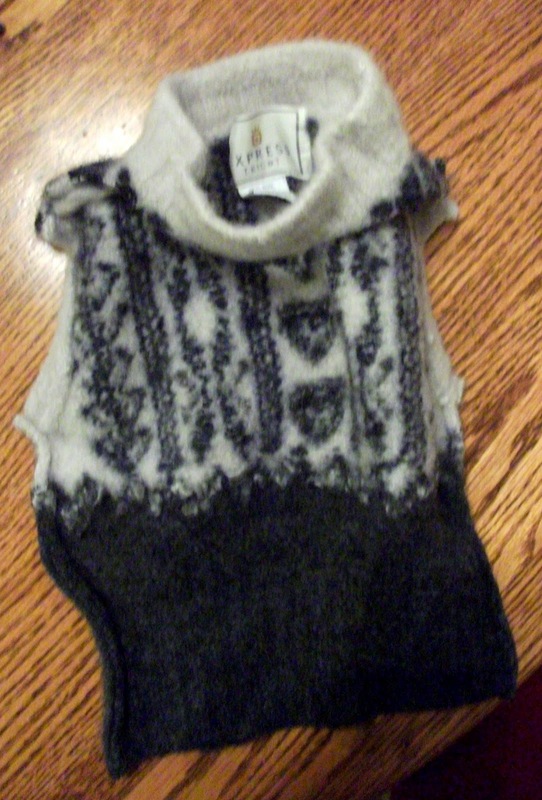 After perusing the website for awhile, I decided I was more in the mood to make a dog cardigan like I found here on Martha's website. 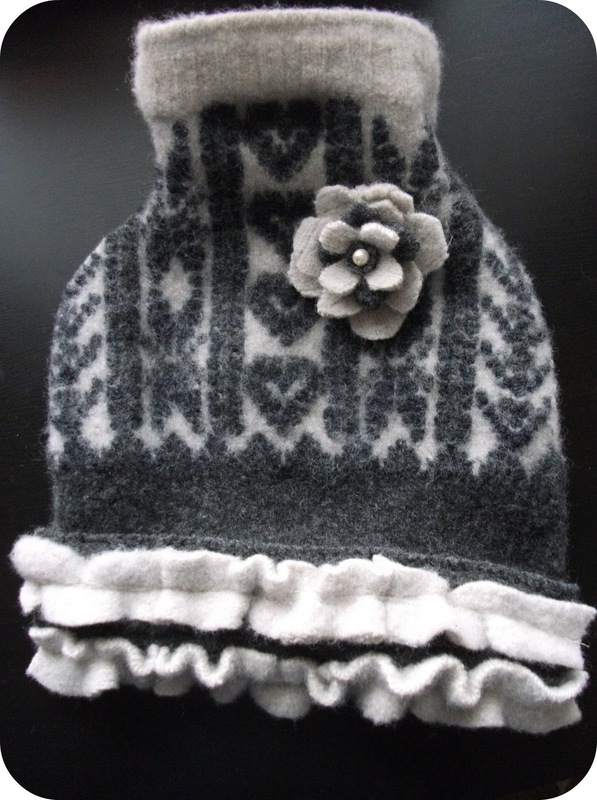 I was a little sad it was pretty much the same color as my dog, but it was the best thing I could find that was 100% wool. 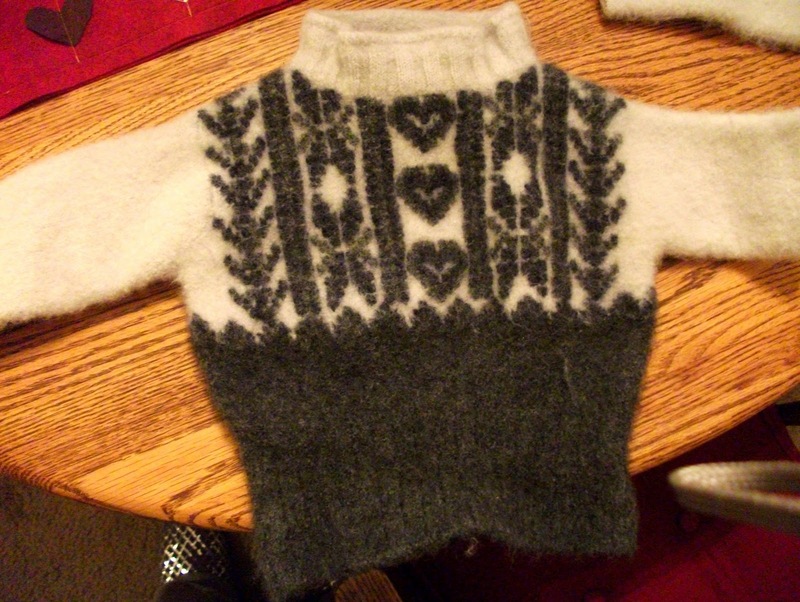 Besides, who could pass up those sweet little hearts and Alpine sweater design. The above picture is actually a picture of it after I shrunk/felted it using Martha's instructions here. (I forgot to take the before pic.) The sweater was already an extra small and it shrunk up a lot so there was no way I could follow Martha's great video tutorial on how to make the sweater fit the dog. I made my own pattern for a traditional dog sweater instead. Remember I am not a seasoned sewer. I do not even consider myself good, yet. I second-guessed my thinking a few times which caused me to make silly mistakes. It turned out miraculously okay, though. 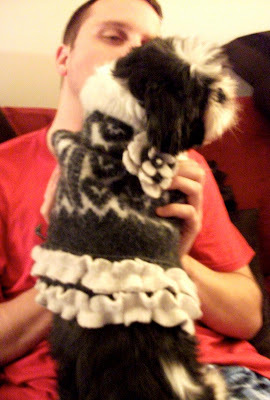 I'm sure others have made dog sweaters in a similar way...this is just my version. 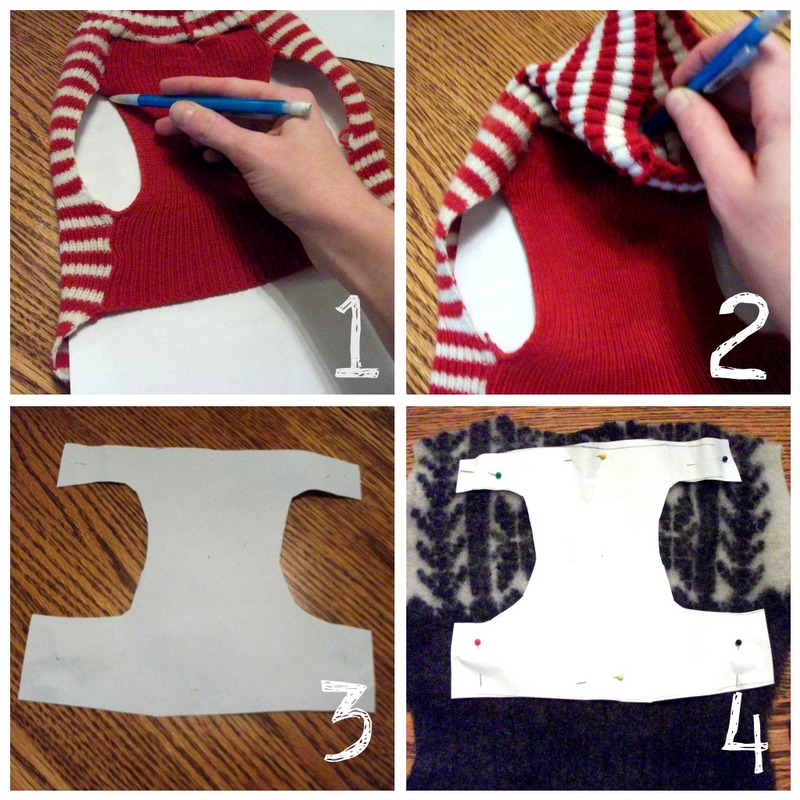 Step 1: Make pattern, cut sweater. Here's what the "back" piece looked like after cutting. Notice I left the turtleneck part complete. I did end up cutting off most of the bottom cuff that is still in this picture, as well. Next I made the "belly" pattern. To make the pattern. 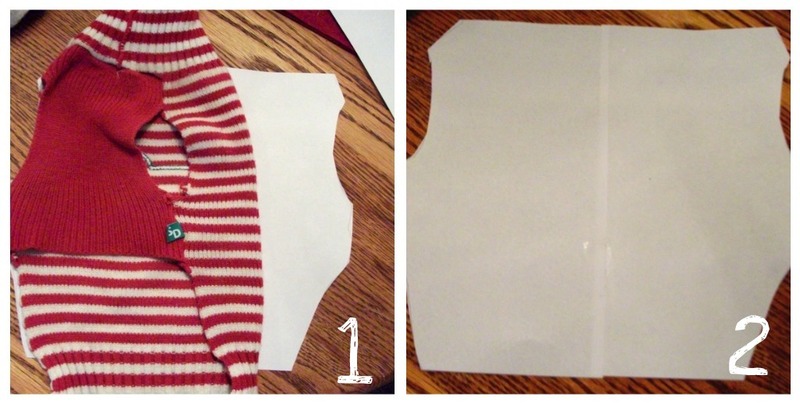 I slid one piece of printer paper inside the dog sweater I knew fit Nix and traced the parts I could. 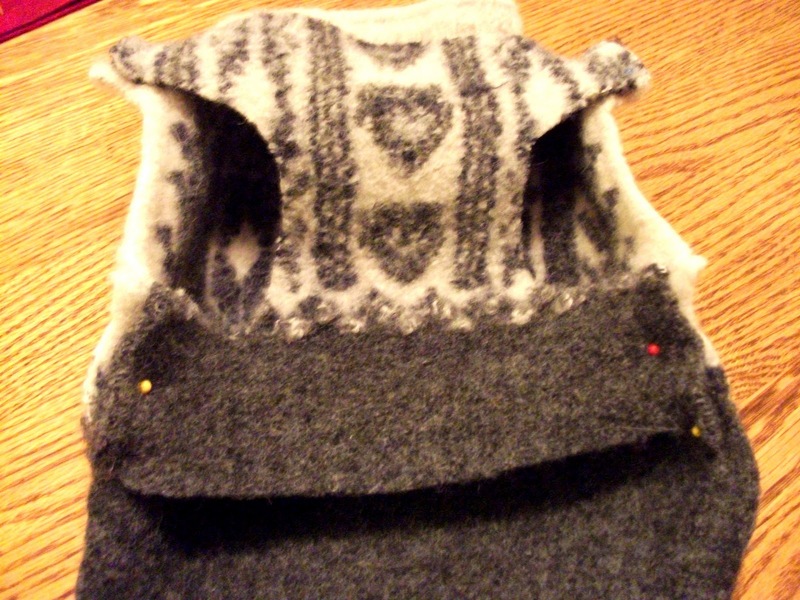 Then I went through the neck and marked the spot at the top where the "belly" piece stopped. 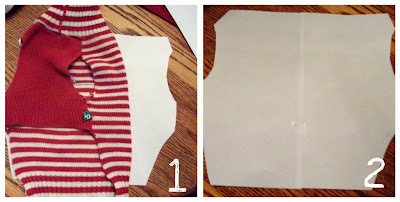 I connected any lines that were missing after taking the paper out of the sweater. Then I pinned it to the sweater in a way that the pattern on the sweater would be straight and centered. Pin right sides together. 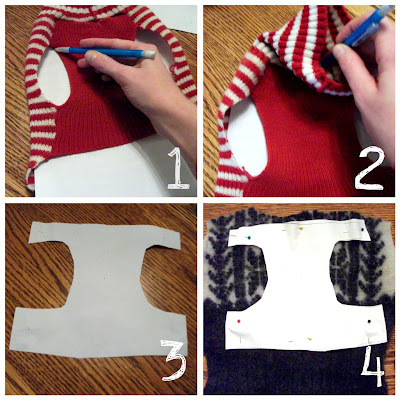 Be sure to pin the top of the "belly" piece to the turtle neck. While it would have been awesome to sew this on my machine, the two pieces of thick wool together wouldn't fit. 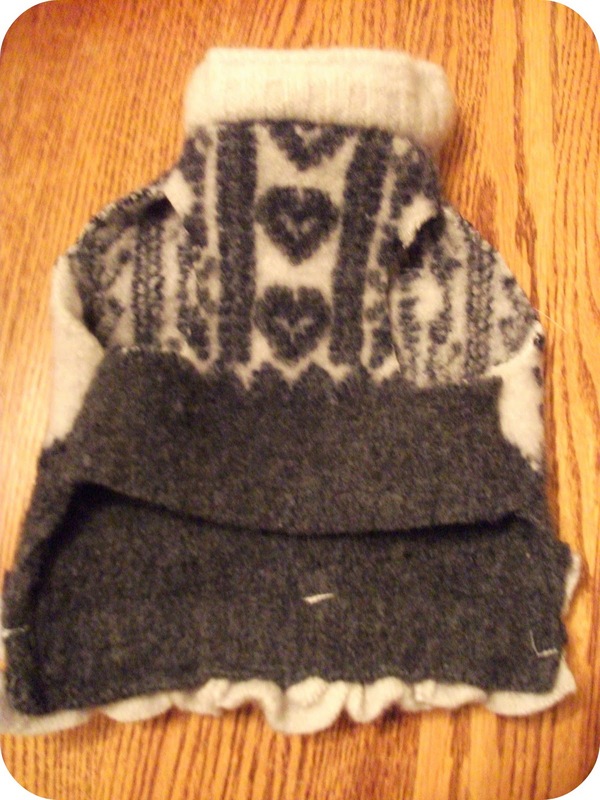 I hand sewed it instead, stitching over each area twice for extra durability. It didn't take long since the areas to sew were small. After finishing, it was cute, but it basically looked like the sweater before except on a dog. I wanted to add some more cuteness to it. Ruffles and flowers are the best go-to for more cuteness, obviously. Here is the end product. I'm pretty pleased. Why have I not made sweater flowers before? They're so pretty! I used the extra fabric from the sleeves and cuff to make this flower and the ruffles. 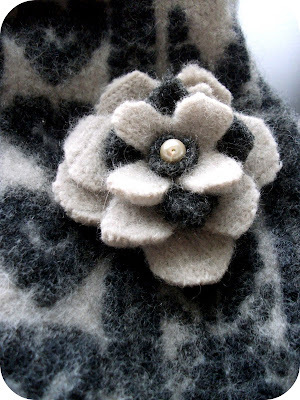 I made this flower a lot like the felt rose in this post without the rolled rose part. I hand-sewed the flower pieces together, added a circle and sewed a pearl to the middle. Then I just sewed it to the sweater dress. 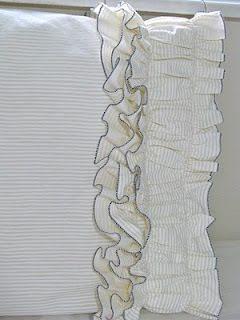 I sewed the ruffles just like I did in this post here. 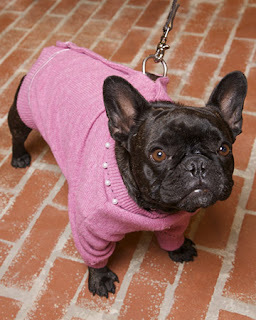 And here's the pretty girl in her sweater. 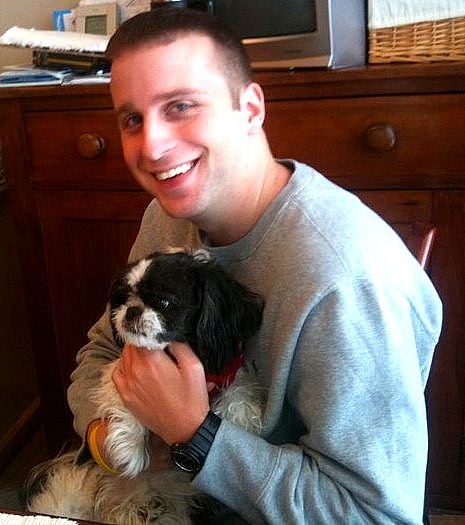 Matt has to hold her to keep her in the picture. She hates cameras. She will seriously get up and leave if you even turn a camera on or point a camera (or phone!) at her. I have a lot of blurry pictures where she's running away from me. This is the best out of probably 10 or so. I swear the sweater dress lays flat when she isn't standing on two legs. Hope you enjoyed the doggie sweater dress tutorial. See you soon! 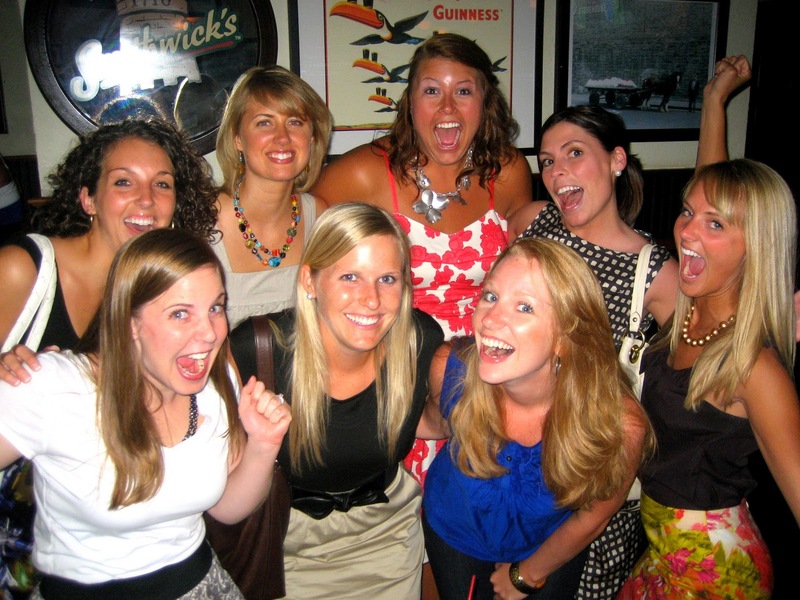 Linking to these fabulous parties and this one, too. In my last post I talked about getting the Stylish Blogger Award, but I didn't follow all the rules yet. In order to accept the award, I'm supposed to share 7 things about me....so here we go. #1. 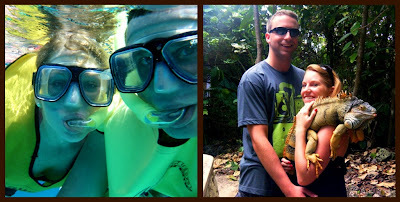 I love and share my life with the most wonderful, perfect man for me. We met in a bar...our favorite bar...through friends, though. Quit judging me. I didn't know he was interested in me and I wasn't really looking to find anyone. Then he just kinda started popping up everywhere I was. Stalker. 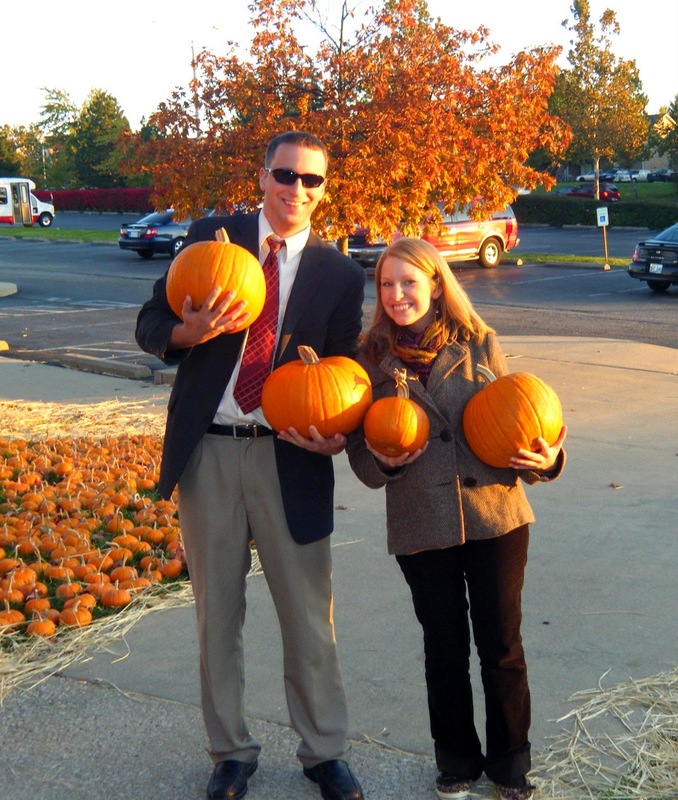 On our first real date we carved pumpkins (his idea). 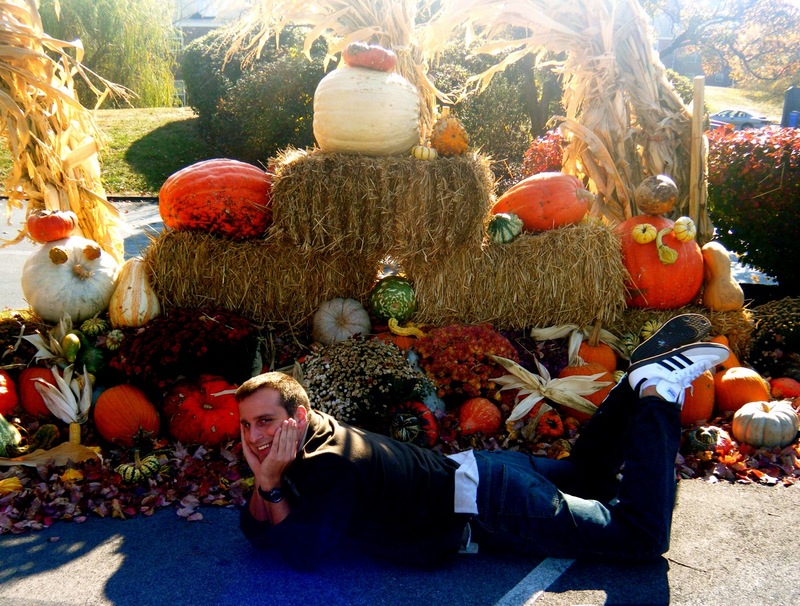 He didn't even know about my over-the-top obsession with fall and Halloween then. The picture above is of us a year later. 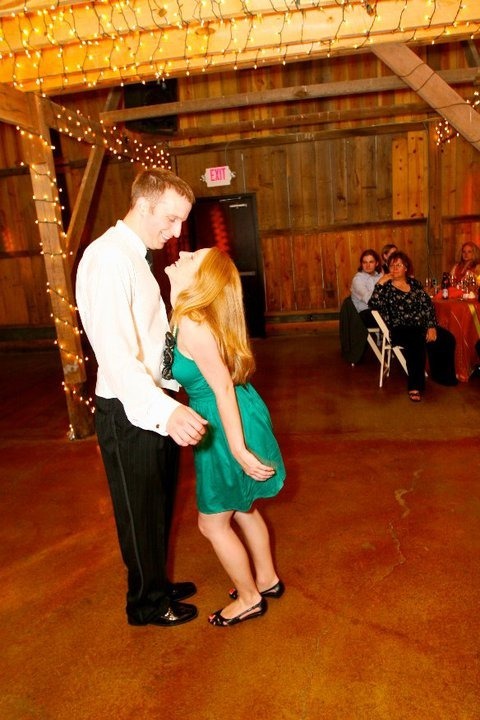 We tend to take over any and every dance floor. "What? We're the only ones out here? Oh well." We love going on adventures together. And he never fails to make me laugh. Like, every day. We have a precious shih-tzu, named Nix. We love her. She's deathly afraid of cameras So this picture is close to miraculous. #2 I have the best sister evarrrr, and family, too. This is Maggie. Love her. 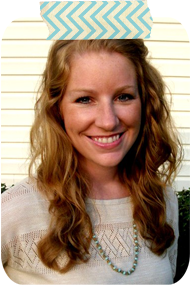 Visit her awesome blog here. 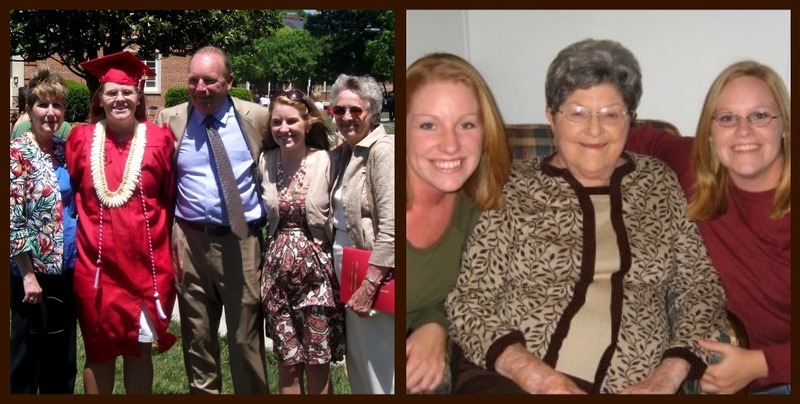 My parents, with a lot of help from my grannies, raised my sister and me. I love them very much. 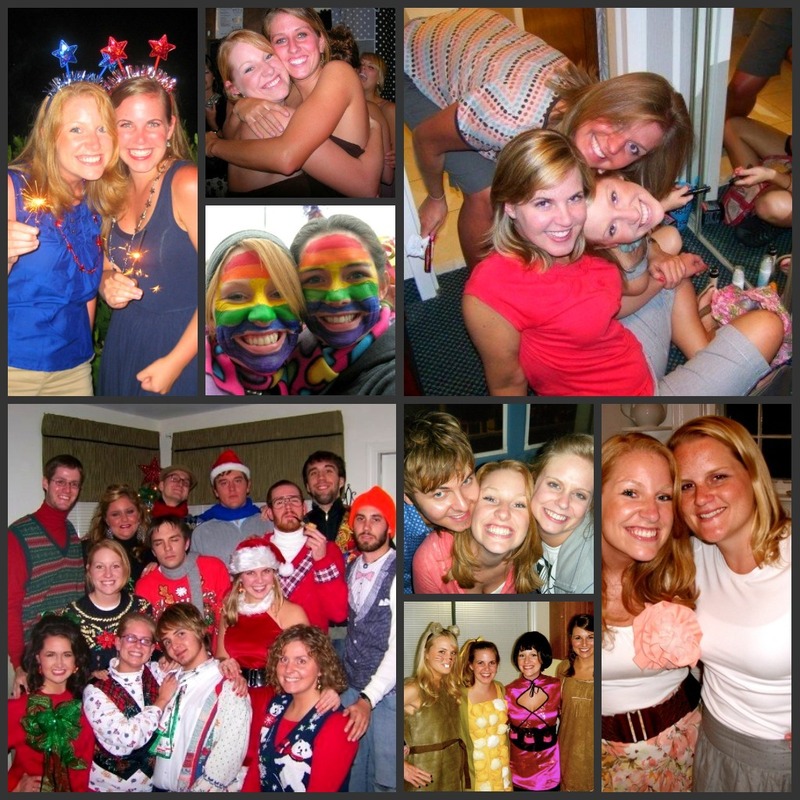 #3 I went to a small liberal arts college where I met the most amazing, best friends in the world. Even though we don't live together anymore or even live close to each other anymore (for most of us)...I think of them often. Getting together every now and then is so great. The Alpha Chi chapter of Sigma Kappa sorority (and other Greek organizations...) was my gateway to meeting and becoming truly great friends with the people I love so much. #4 I love teaching kindergarten. Wish I could share some of the funniest, sweetest pictures you've ever seen in your life of my munchkins, but I don't think their parents would appreciate it. I'm so lucky to have a job I really love. #5 I've never been athletic. I loved being in band. I was in marching, concert, and pep band in high school and continued on with concert and pep in college (for scholarship reasons, mostly). 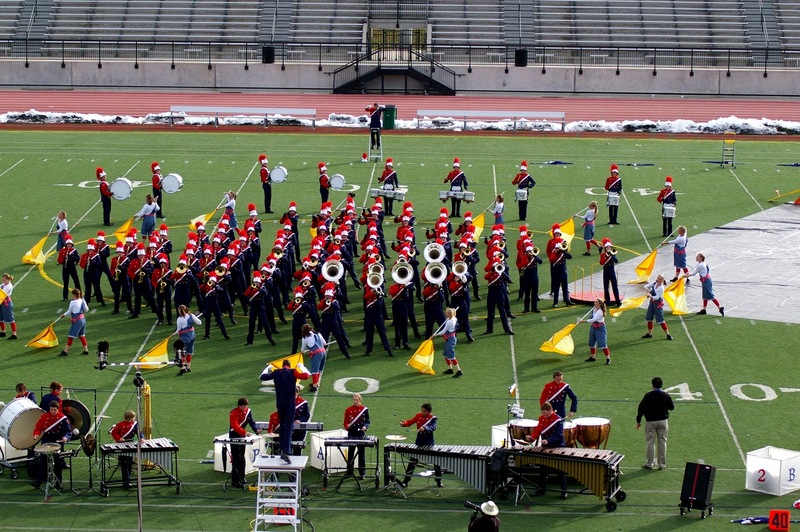 In high school, I lived for marching band. I was the drum major (field commander, whatever) for 2 years, I played clarinet for the others, and loved every minute. If my future children say, "Mom, I don't want to play football/be a cheerleader...Can I be in the band?" I will be absolutely ecstatic. #6 I very rarely wear a different color nail polish other than red. And all my friends laugh at me for having 30 shades of the "same" color. 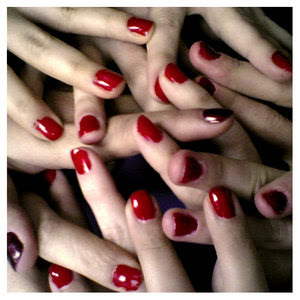 I googled "red nails" and came up with this picture from this blog by a girl who seems to have the same problem as me. ha. #7 I'm really excited to be a mom. No, not today. Not tomorrow, or even in the next few years. And thank goodness for that. But someday. And I can't wait. Hope you enjoyed these tidbits of my life. This was a fun post to write. 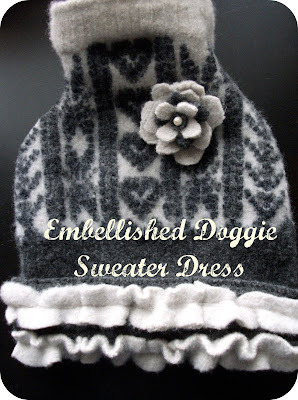 I made the dog sweater for the Martha Stewart Craft Along I discussed in this post-kinda. Exciting News and Some Blogs You Should See! Okay I've been putting off sharing this exciting news with you because it came with some rules I had to follow, but I think I've finally got it all together soooooo... 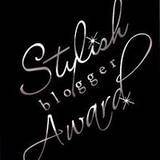 I wanted to let you know I was awarded the Stylish Blogger Award! Thanks so much! I was super hyped to receive this award! When Malory over at Snips and Spice gave me the award she had given a brief description about each blog she awarded on a post. I liked this idea because it made me feel more deserving of the award and I could tell that she really put some thought into her choices. Soooo I'm going to do something similar! Here are 8 blogs I am giving the Stylish Blogger Award. And here's why you should check them out, too! I found most of these while browsing links to linky parties. This is one of my favorite things to do in blog-land because I find (and bookmark) great ideas and discover great new blogs in the process! Lauren and Michelle at Coffee @ 3 have the most fun "story" about meeting as neighbors and sharing the love for crafting and having to drink coffee at 3 pm to stay awake after chasing their kids. :) Being a kindergarten teacher, I can definitely relate. Caffeine is an absolute necessity. Check out some of their great projects! 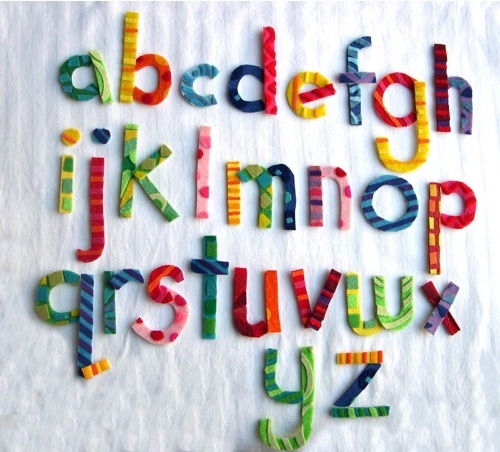 Christine over at Makin Mudpies has some great craft ideas along with some cool party ideas, too. 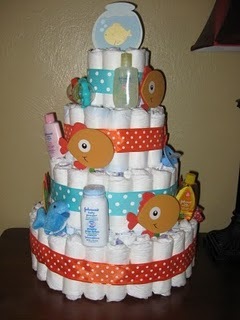 Her Goldfish themed baby shower looks so fun! As soon as I saw these owl pops she used to send out as Valentine's I added her blog to my list for this award. 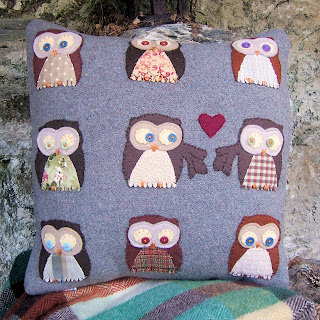 LOVE them (and all things owl). Ali at Away We Go has a terrific blog as well with home-decorating, home-organizing, and craft posts! I saw this on a link party and clicked immediately! 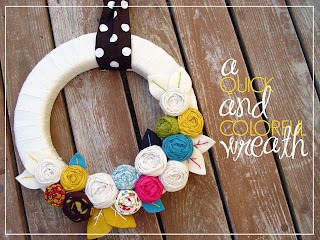 Love love love that grey against the red door on her yarn and hearts wreath! And this Organized Pantry simply blows my mind. Organization is not in my body. At all. 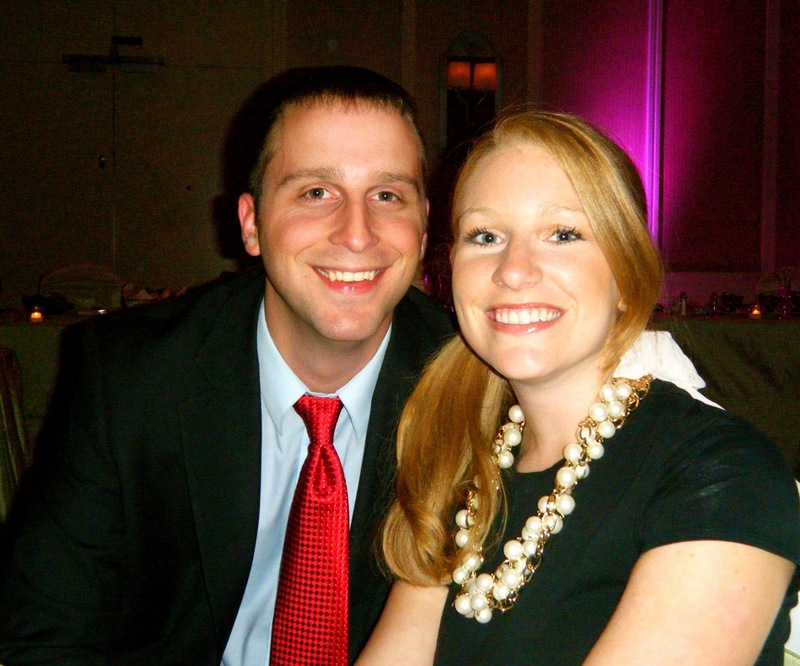 Matty and I have that sized-pantry and it definitely looks way worse than her before pic do....maybe one day. Ellie at Homestitched is a new sewer, like me! 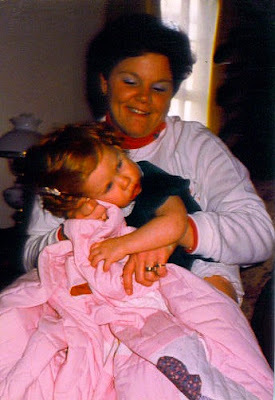 And, also like me, (as she describes on her "About Me" page) she dreams about potential projects...haha. Love it. These Anthropologie-Inspired-Ruffled-Pillows are to die for. I need to make them immediately. Check out the link for a great tutorial! 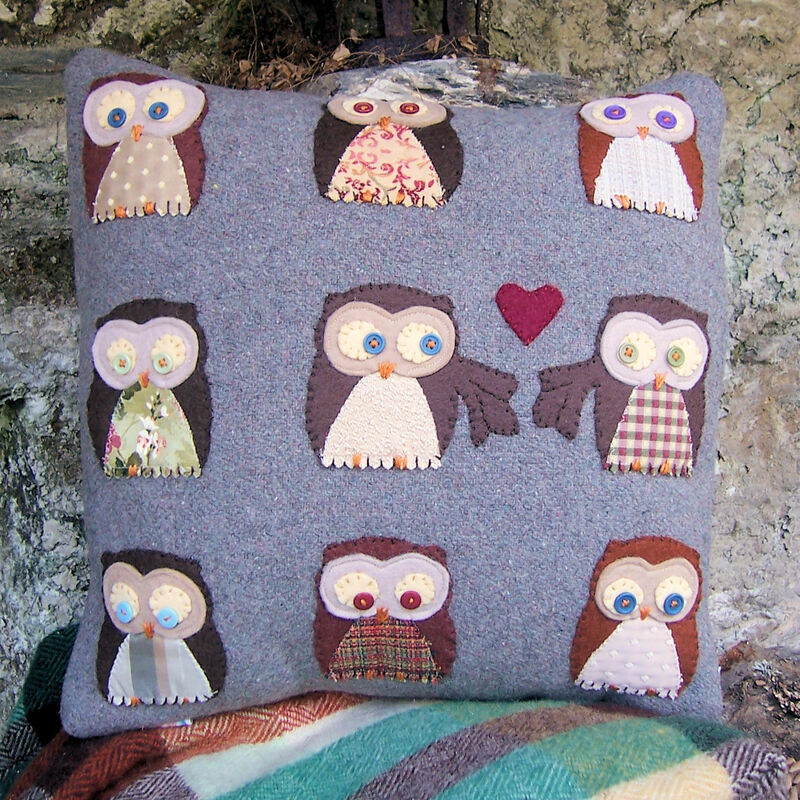 When I saw these Love-Struck Pillows on a linky party, I thought, "holy crap, that's cool." The one with the couple on it is from a picture of her and her love! Fun, fun. Dara over at Teach.Craft.Love is actually a personal friend of mine as well as a bloggy friend! She is a teacher, too, and creates some fantastic things! She's on a short blogging break at the moment, but will be back very soon (in a few weeks, I'd say) with some exciting news. In the meantime, check out her great projects! She has also got some awesome photography up on her blog! 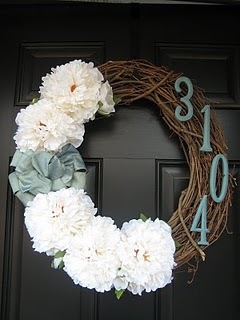 And I just had to do one more because I absolutely love this wreath. Go see it and some other variations of it in her post, here. Go see Emily at Made With Emily Love if you want to see a a new-within-the-past-couple-weeks blogger who I know will keep creating great things! 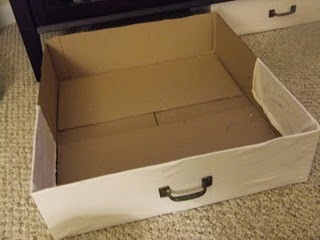 I thought her Faux Drawer Tutorial was clever, easy, and cheap. A perfect combination. 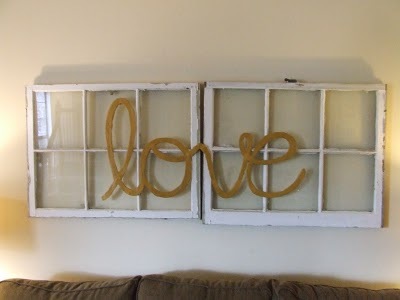 I really love her Love Windows wall art made from windows she found at a thrift store for $20. Why doesn't that happen to me? I want those windows!! I was excited to find the lovely Jill at Mama Jill Blog. She is a mom of 2 and is about to open her first Etsy Shop! 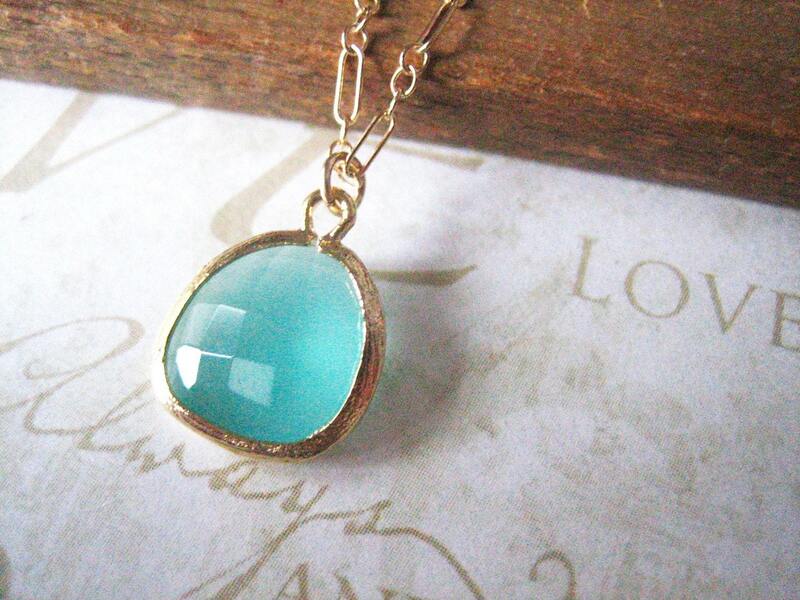 She beat me to making this Anthropologie-Inspired Necklace! I saw Anthropologie's Things Past Necklace one night while browsing their website and thought, "I need to make that...." Then I saw Mama Jill's version on a linkup party the next day. Haha. Great minds think alike?? Good news is Mama Jill is opening an Etsy Shop. Go see her New Shop Preview that shows this cute headband and many more fabric flower designs that will be in her shop. Elizabeth and Elizabeth at Simple Simon and Company have some great great stuff. They married brothers so their names are the same (ha!) 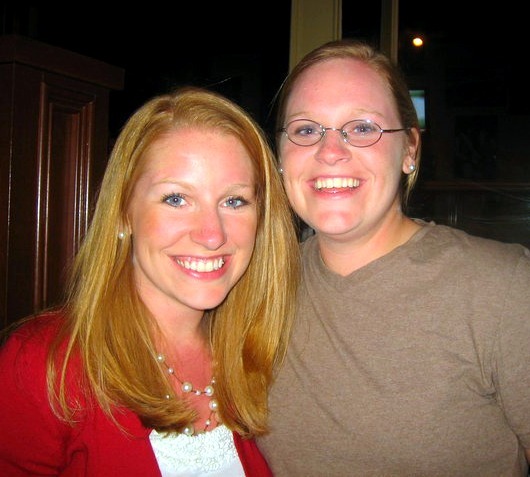 and are both former teachers turned into stay at home moms. Elizabeth and Elizabeth took up sewing a few years ago and have turned out some super-fun stuff. Both projects below are from their $5 Friday Category on their blog! I am really loving this $5 Lace and Cotton Skirt Project. 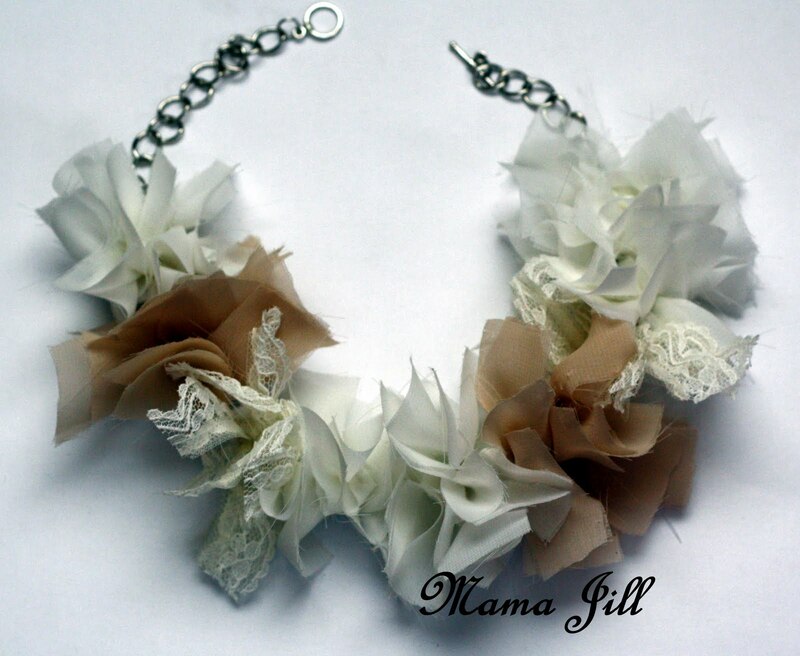 She hand-dyed the lace orange and she has a cream lace version too. I think I need an adult version for me. 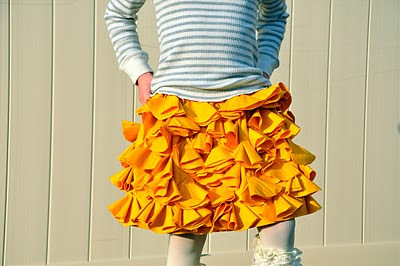 This Bustle Skirt is just awesome. She has a tutorial for it, too. Congratulations to all you fantastic bloggers!! Be sure to follow those rules when you accept your award. Remember, I went a little overboard when finding and showcasing blogs to award...it's not absolutely necessary to do it like I did. Others have just done quick links to worthy blogs. Well, The Cut Was Not Made.